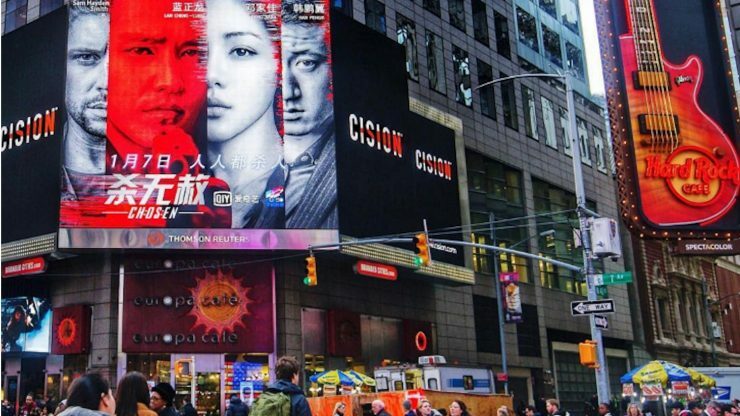 Chosen, the Sydney-based Mandarin-language series in three-parts about an ordinary loving family caught in an extraordinary and deadly game, has proved a huge success in China. The landmark psychological thriller, which features a stellar cast led by two of China’s biggest stars, Lan Cheng Long and Deng Jiajia, has so far received over 30 million views on the Chinese streaming platform iQIYI since its launch on 7 January 2018. A Playmaker production set and shot entirely in Sydney, with the valuable support of Create NSW, the production filmed in numerous locations throughout the city and surrounding suburbs, including at the Australian National Maritime Museum, Luna Park Sydney and in Parramatta, Western Sydney. Chosen will be available via Netflix from 31 March 2018.